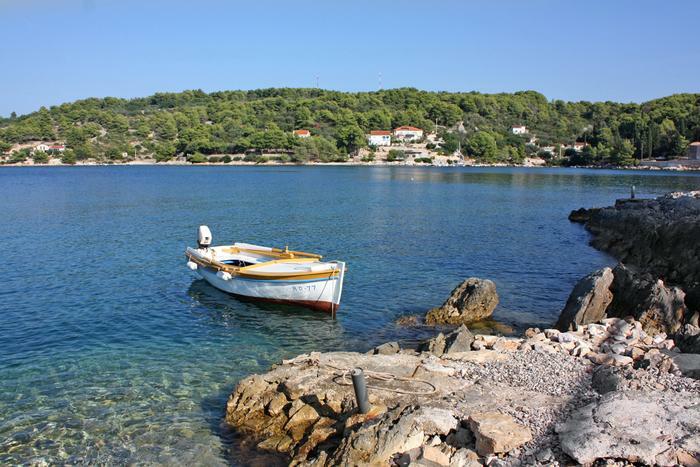 The island of Šolta is an ideal destination for your summer holiday. A place where you can fully relax, and yet stay active. Besides being near Split and the islands of Brač and Hvar, Šolta gives you plenty of options for spending a couple of quality days there. Choosing Šolta means choosing the return to innocence and the authentic island life which is illustrated by the tourist board's motto. You'll be welcomed by thick pine woods, trees of carob and olives, crystal clear sea... Traditional lifestyle and ways of production are also some of the perks of this little island that takes pride in its authenticity. There are not that many islands in Croatia with such a rich cultural, historic and natural heritage like the island of Šolta. That is why we decided to dedicate our new blog post to this wondrous island. Keep on reading and find out which four things are a must when on the island of Šolta. You can get to Šolta by ferry or catamaran which depart daily from the port of Split. The ferry ride takes an hour and the ferry docks in Rogač. You can't miss the olive trees on the island of Šolta. There are more than 100,000 cultivated and uncultivated ones. Two types are the most common: Oblica and Levantinka, and they are indigenous to this island. The olive tree really has a special place in Šolta's residents' lives. Most families grow olive trees and produce olive oil. The olives are picked in the fall, from October to the end of November. Olive picking is a true social event when entire families, and those in search of ways to make some extra money, pick the fruits of their work together. If you visit the island during olive picking time, join the locals! If you're interested in the process of producing olive oil, make sure to stop by the Olynthia – natura olive oil plant where you can see the modem way of producing olive oil. You can also check out the traditional way of making olive oil at the oil plant in Grohote. Another one of Šolta's gastro specialties is the Olintio honey made of wild rosemary. Visit the local beekeepers who will gladly show you the way this delicious honey is produced. A Dalmatian meal is never complete without a glass of good wine. Therefore, we recommend Dobričić wine made of Šolta's indigenous type of grape called dobričić to everyone who knows how to appreciate the Dalmatian lifestyle. It is produced by the local producers in a traditional way which only goes in favor of the quality of this delicious red wine. Just like a local, have a glass after savoring the taste of grilled fish. Enjoy! With its height of 238 m, Vela Straža is Šolta’s highest peak. It is situated in the inland, above Gornje Selo. Pick the right clothes for the occasion, take a bottle of water with you and, if you're climbing in the summer, don't forget to put some sunscreen on. When you get to the top, you'll be welcomed by a magnificent overview of Šolta's overseas neighbor – the City of Split. You'll love Šolta if you like diving, sailing or riding bikes. Thanks to numerous untouched bays and treasures they hide in their depths, Šolta is slowly growing into a popular diving destination. Pay a visit to the Leomar diving center in the village of Stomorska. The most popular diving locations are the bays of Livka, Stračinska, Senjska on the northern side of the island, but don’t forget to explore the Piškeri bay next to Nečujam where you'll find the remains of a fish market built by the Roman emperor Diocletian. Sailors have two moorings at their disposal in Stomorska and in Rogač as well as the modern marina in front of the Martinis Marchi hotel in Maslinica. When you get back to the mainland, rent a bike in Stomorska and explore Šolta's coast and inland by taking routes which lead you through woods, olive tree farms, vineyards and by the sea. Even the most regular walks on the beach have an extraordinary appeal. Relax, breathe the fresh air in and enjoy your view over the crystal clear Adriatic sea. A 5 minute walk away from the ferry port in Rogač, you can find the pebble beach called Garma. It will take you 20 minutes to get to the pebble beach Kašjun. Families with children can take a swim on the Banje beach, which is located opposite to the ferry port. When in Maslinica, go for a swim on the popular pebble beach called Punta. There's a bar there so you can grab a drink after your swim. If you decide to walk some more, you'll get to the Špikova bay and a little sand beach, one of a kind on the island. On the east side of the island, only a couple of minutes away from the village of Stomorska, you'll find the Veli Dolac beach. This fine pebble beach is a great choice for families with children. You can rent parasols and sunbeds there. Where to stay on Šolta?